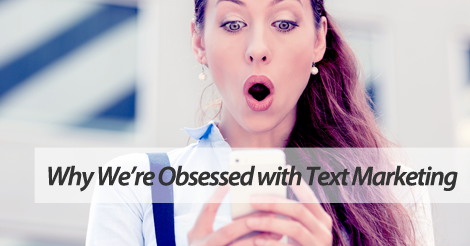 There’s something about text message marketing that proves pretty irresistible. We’re actually obsessed with this mobile communication tactic. For us, the high open rate is borderline jaw-dropping. Listen, we’re all smart business people over at SlickText.com. We attach to projects that provide opportunity and longevity. So, trust us. Text message marketing isn’t going anywhere. With that said, we want to push you in the right direction. Take these few points into consideration when drafting up your first text message marketing campaign. Put yourself in the subscriber’s shoes. What would you want? What kind of offers are appealing to you? 2. How will I encourage redemption? Now, if your offer isn’t valuable, you’ll observe insanely low redemption rates. Without redemption, you’re pretty much floating up a creek without a paddle. Your text message marketing efforts are going to waste, and you won’t observe long term success. So, ask yourself, am I doing everything I can to encourage redemption? If yes, fire out your campaign. If no, make some tweaks. 3. Did I include a call to action? Make sure to include a direct and clear call to action. Without a call to action, your offer redemption will suffer. You won’t experience a maximum return on your text message marketing investment. If you’re not going to make the most of this tool, why bother? You don’t need to invest thousands, even hundreds. Just invest time and brain space. Listen, text message marketing isn’t as complicated as it may seem. Sure, there’s a few rules you have to follow, but it’s also not rocket science. Partner up with top text message marketing provider, SlickText.com. Give us a ring at 1.800.688.6290 to learn more or head on over to the pricing page and sign up for a free plan. Our feature rich platform empowers every single small business owner to succeed.